Luke Bogacki drove his ThisIsBracketRacing.com backed American Race Cars dragster to a pair of final round finishes in last weekend’s Tenn Tuck Triple Crown bracket series event at Beech Bend Raceway inBowling Green, KY. The Tenn Tuck Triple Crown is recognized as one of the most competitive big dollar bracket racing series’ in North America, routinely hosting several of the best sportsman racers in the nation. In Friday night’s $5,000-to-win event, Bogacki took runner-up honors after falling to 5-time NHRA champion Jeg Coughlin, Jr. in the final round. A day later, he scored a $5,000 victory when he bested Buddy Ferrell in the final stanza. Bogacki credited several marketing partners for their role in his teams continued success. In addition to his own online sportsman racing driving school, ThisIsBracketRacing.com, Bogacki thanked American Race Cars, Huntsville Engine & Performance, K&N Engineering, Mickey Thompson Tires, Bill Taylor Enterprises, and JEGS. He also acknowledged the following manufacturers whose products the team depends on week in and week out: Lucas Oil Products, J&J Engine Diapers, ISC Racer’s Tape, APD Carbueretors and fuel systems, BRODIX Cylinder Heads, Milodon, B&M, Rockett Brand Racing Fuel, Auto Meter, Nitroplate, Hedman Hedders, Todd’s Extreme Paint, Nitrous Express, Moser Engineering, Sparco, Frankenstein Racing Heads, Ohlins Shocks, Dixie Racing Products, Sunset Racecraft, K&R Performance Engineering, Figspeed.com, Wiseco, PimpMyCrew.com, and DragRaceResults.com. A less than stellar season by Bogacki’s lofty expectations would be considered solid by most: Saturday’s victory marked his 15th final round appearance of the season and his 7th victory. Of his 15 final round appearances, 5 have come at Beech Bend Raceway as Bogacki continues a history of incredible results at the western Kentucky facility. 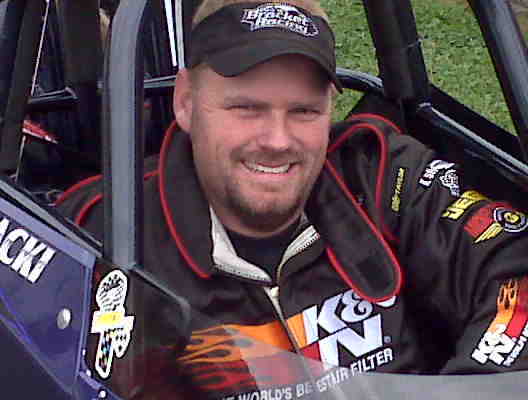 He won the Tenn-Tuck Triple Crown points championship in 2004 on the strength of a March weekend sweep of the $10,000 main events (a feat that has yet to be duplicated in the history of the series). He has appeared in a whopping 12 Tenn-Tuck final rounds in the past seven years, winning 8 of those matchups. 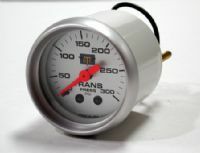 In addition, he earned top honors at the Beech Bend NHRA Lucas Oil Divisional event, taking the Super Comp crown in each of the last two seasons. Bogacki, now a resident of southern Illinois, has claimed at least one victory at Beech Bend Raceway each season since moving from Texasto Alabama in 2004. 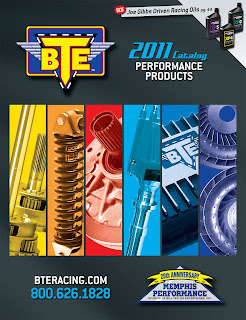 2011 BTE / Memphis Performance catalog is finished! The 2011 BTE / Memphis Performance catalog is finished. Check your mailbox in the next days for your copy. The new catalog includes new powerglide parts, new torque converters, and many other new performance products. If you are not on our mailing list, but would like to receive a copy, call us at 1-800-626-1828 to get your own copy!